Rhode Island DUI cases are rarely hopeless when working with an experienced Rhode Island DUI lawyer. Police officers bungle roadside investigations on a regular basis. Breathalyzers and blood testing are prone to error. Medical conditions can render high BAC readings falsely most specifically diabetes. Even the Atkins and other low-carb diets have been known to throw off breath testing equipment. Most people arrested for a Rhode Island DUI charge assume the evidence against them is insurmountable and most of them are wrong. There are several strategies employed by our office that have worked for hundreds of people before you and will continue to work in the future. If you have been arrested for DUI, Rhode Island DUI Lawyer Susan T. Perkins invites you to participate in a case analysis with her. Your analysis will be free, and is your chance to tell your side of the story. 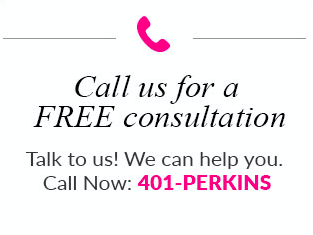 Attorney Perkins wants to start by hearing from you. She wants to hear everything that happened leading up to, during and after the arrest. Small details are key; we know that the arrest was likely stressful, but a small mistake by the police often means a quick verdict in your favor. She will give you her candid opinion as to the likelihood of prevailing in court and at the DMV. Susan will then analyze your DUI case and ask any other questions she may need to assess adequately how well she can represent you as your Rhode Island DUI lawyer. The Ignition Interlock Device, also known as the IID, is a system geared toward reducing the volume of DUI incidents that occurring on an annual basis. The system requires drivers to give a breath sample in the device for alcohol detection. The device analyzes the breath sample to determine if alcohol is present in the testers system. If alcohol is detected the device will prevent the vehicle’s engine from starting. After an unspecified amount of time the system will allow re-testing. This test can be taken by the original tester or a responsible driver who is present. The Ignition Interlock Devices are easy to install and can be wired directly in the vehicle’s ignition. Some devices also require additional testing while the vehicle is in operation. In the state of Rhode Island, the installation of Ignition Interlock Devices are required upon a third DUI conviction and must remain installed for a minimum of two years. The sentencing judge shall require alcohol or drug treatment for the individual; provided, however, that the court may permit a service member or veteran to complete any court-approved counseling program administered or approved by the Veterans’ Administration, and may prohibit that person from operating a motor vehicle that is not equipped with an ignition interlock system for a period of two (2) years following the completion of the sentence as provided in § 31-27-2.8. If you’ve been arrested for drunk driving, it’s important to know what you are up against. It is also a good idea to know about Rhode Island drunk driving laws in order to prevent an arrest from happening. With some knowledge on your side and the right Rhode Island DUI lawyer, you can navigate through the process with more confidence. Here are some frequently asked questions about Rhode Island DUI (Driving Under the Influence) laws. Is Rhode Island Strict About Drunk Driving? Yes. Rhode Island is very stringent when it comes to driving while intoxicated. How does Rhode Island Define Driving While Intoxicated (DWI)? The state of RI defines drunk driving as anyone with a blood alcohol count (BAC) of 0.08% or higher. For those 21 and under, it is a BAC of between 0.02% and 0.08%. In Rhode Island, if you operate a motor vehicle, you are giving your consent to a chemical BAC test. Why does an officer pull someone over? An officer observing someone’s driving pattern will pull over a vehicle for any signs of impairment. What is a pre-exit field sobriety test? What is a Preliminary Breath Test? A PBT, or Preliminary Breath Test, is a test an officer gives a driver at the scene. It is very similar to breathalyzer tests at the police station but they are portable. They are used to determine if an arrest should be made. What happens if I get arrested for DUI in Rhode Island? If you get arrested for a DUI in Rhode Island, you will have to state your case before the court within 72 hours. What happens during the court appearance? A judge will advise you of your charges. The judge will decide whether or not you should be released. Usually, in a DUI case, the defendant is released with the agreement that they return on a set date. A pre-trial conference is when you and your RI DUI attorney will hear the evidence against you. These can include police reports, eyewitness accounts, video recordings, audio recordings, chemical test results, and field sobriety test results. Pre-trial motions begin and the prosecutor and defense will present their arguments to the court. Prosecutors and defense will argue their cases and present witnesses. Prosecutors and defense will cross-examine the witnesses. What are the penalties for a 1st Offense? What are the penalties for a 2nd Offense? An ignition interlock device is a device that is installed in your personal vehicle. It checks your BAC with a breathalyzer before it will unlock your ignition. The device needs to be installed by a state certified installation company. What are possible additional penalties for refusing a chemical test? What are DUI penalties if you are under 21? 6 to 18 month suspended license. What are DUI penalties if a serious injury occurs? What are Rhode Island DUI penalties if a fatality occurs? To get your license reinstated, you have to visit operator control at the DMV, at 600 New London Ave, Cranston, RI. How do I find a DUI Attorney? Get a free consultation with an experienced Rhode Island DUI attorney here. If you or someone you know has been charged with a DUI call Rhode Island DUI Lawyer Susan T. Perkins today at 401-737-5467 for a FREE consultation. DUI Attorney Offices in Providence and Newport.